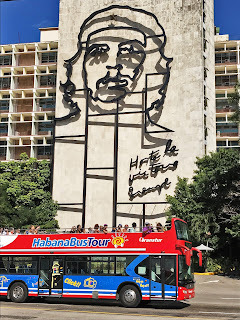 at the Plaza de la Revolucion. the night before. Cesar heard before I did, wandering out of our bedroom just after dawn to the restroom in the private home, or casa particular, where we were staying in the Vedado section of Havana. I could hear the father of the family shout something from the living room down the corridor to Cesar, and then Cesar’s voice yelling, “Murió?? !” (Spanish for “he/she died.”) A second later the bedroom door flew open. “Fidel Castro murió! !” Cesar told me. I stood there in my pajamas, paralyzed, then threw on my sandals and sprinted down the corridor to the living room. There, family members were gathered around the television, some of them awake most of the night after getting phone calls with the news. to take her mind off her sadness after Castro's death. The ensuing sadness that cloaked the household – three generations of family, from the 90-year-old matriarch and former opera singer, to her son and his spouse, to their son, in his 30s – would resemble the same grief that we encountered throughout the city during the rest of our stay. The usual liveliness on the streets on a typical Saturday morning was replaced by silence. 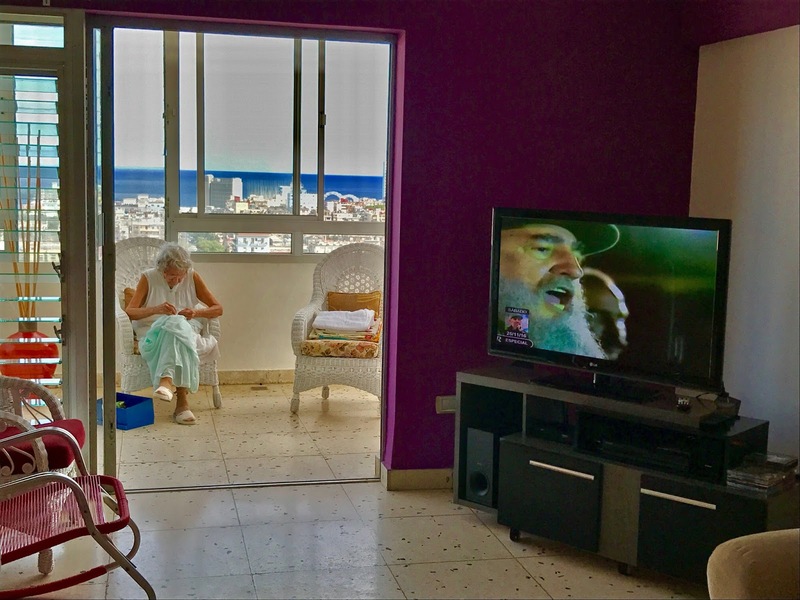 Most people stayed indoors, watching state television news and endless tributes to the man universally called Fidel. Christmas lights were turned off; so was music. Live shows were cancelled, including what was to be a historical appearance by Placido Domingo at the Gran Teatro. Alcohol sales were suspended (except at tourist hotels), as officials announced a nine-day period of national mourning. Those out running errands or going to work looked solemn and sad. “Mal, muy mal,” people would say when we asked them how they were. (“Bad, very bad.”) Some broke into tears. Other times we overheard conversations that were not meant for our benefit, of people talking about his legacy, his ideas, and how no one was like him. “He was unico, unico!” we heard over and over, along with expressions that people felt like someone in their families had died. To be sure, there were some who shrugged and said, “Lo mismo,” or “The same,” when asked about how they felt, leaving it at that. But the predominant sentiments we witnessed throughout the city and numerous neighborhoods outside the tourist district were ones of grief and loss. 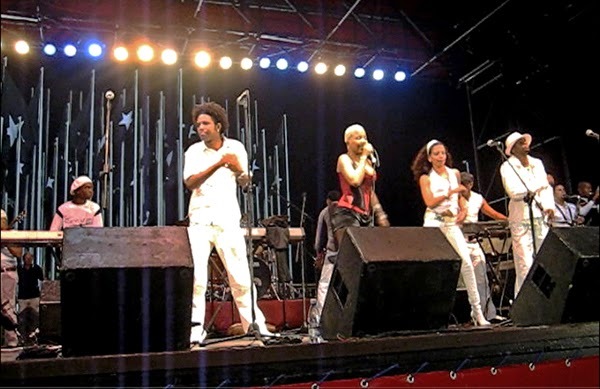 For parts of the last twelve years I’ve been traveling to Cuba, first as a reporter and then as an academic researcher in Latin American Studies, writing a book on Cuban music. With time, one picks up a sense of when people are being guarded and when they trust you enough to express their real thoughts. Across the board what we saw after the announcement of Fidel Castro’s death were raw emotions – a general respect for the man called El Comandante and the type of egalitarian society he worked to create, marked by universal education and health care. Yet, nothing related to Cuba is cut and dry. Even those who expressed fondness for Fidel Castro also spoke about mistakes made through the years and a desire for more economic reforms to help a budding entrepreneur class. 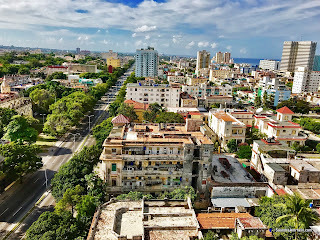 This was Cesar’s first visit to Cuba, and he was struck by the high levels of education found among everyone we spoke with, and yet also how so many with backgrounds in everything from mechanical engineering to sports medicine were working as waiters or taxi drivers in the booming tourism industry. One man, a professor from the municipality of Guanabacoa just outside Havana, described himself as an avid Communist and Fidelista. He said he thought that something in the economic structure had to change so that a professional like him was not making less a month than someone selling WiFi cards in the tourism district. This has long been the complaint in Cuba since the 1990s and the collapse of the Soviet Bloc – Cuba’s chief sponsors and trading partners. In my visits in the first decade of the 2000s, I saw a gap growing between the haves- and have-nots. On this visit, it was clear that the gap has widened as Cubans still exist on a dual-currency system. Often what determines the side of the line one falls on is access to the tourism industry, family abroad and the convertible currency, called CUC. Most Cubans are paid state salaries in national pesos, worth a fraction of CUC. 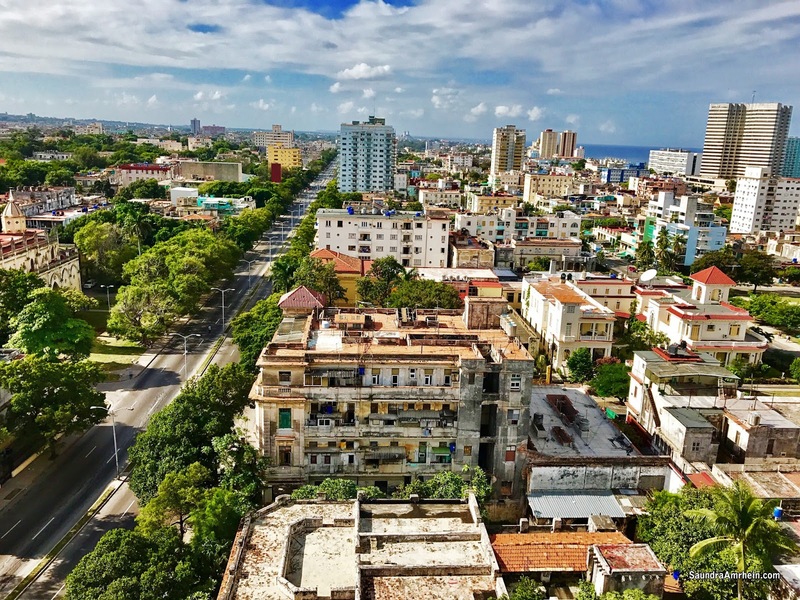 With few natural resources and the lack of an industrial economy because of past Soviet dependence and previous dominance by the United States and Spain, Cuba has been working to develop other avenues. Some of those are based on its human capital -- of doctors and scientists, including in the field of biotechnology, such as its touted lung cancer vaccine. the passing of Fidel Castro. Some have benefited under economic reforms and a widening of the private sector by President Raul Castro. During my previous visits, there was just a smattering of private home-stays (casas particulares) and private restaurants (paladares). Now they seem to be everywhere, rushing to join Airbnb.com, which recently entered the country. Diners in the paladares are no longer just tourists and their guests but also a growing Cuban middle class. Cell phones are now ubiquitous, even if internet access is not. 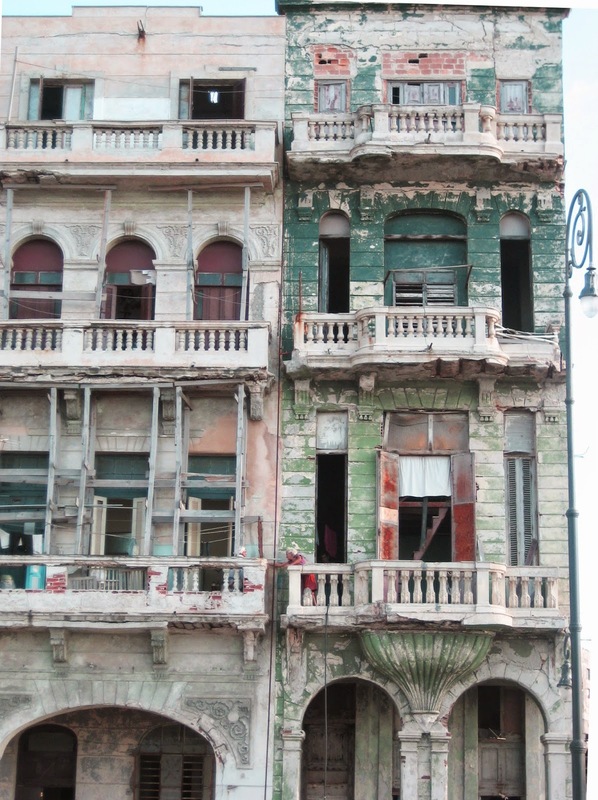 You’ll see crowds of Cubans lining sidewalks in WiFi zones, peering down at cell phones. You also can’t miss the relatively new double-decker tour buses cruising through the city alongside vintage ‘50s-era Buicks and Chevys, carrying the regular share of European and Canadian tourists and a growing number of Americans with their protruding selfie sticks. While welcoming continued reforms, Cubans take a long view of history, a perspective often lacking in U.S. media coverage. Many say they would like the embargo lifted but are not interested in the United States returning to dominate their economy and society as it did in the 1950s. 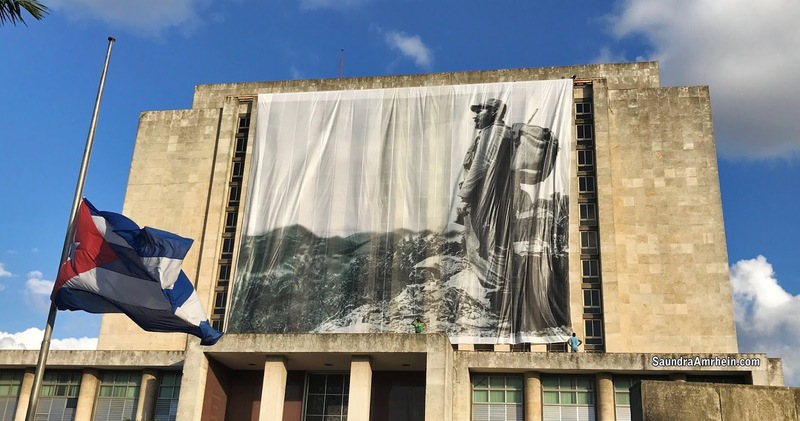 This is where the widespread respect for Fidel Castro comes into focus: the notion in Cuba that despite his flaws, he devoted his life to the country and fought off the United States during an era of CIA-backed coups and U.S. support of oligarchs and brutal dictators throughout Central and South American countries that opened their doors to U.S. mining and agriculture companies. 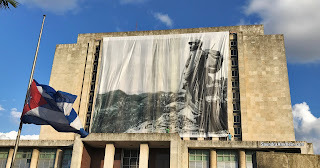 Also ingrained in memories are the lessons of past U.S. intervention and invasions, including during Cuba’s War of Independence against Spain and subsequent reform movements quashed by U.S. influence, leading to the U.S-backed dictatorship of Fulgencio Batista. 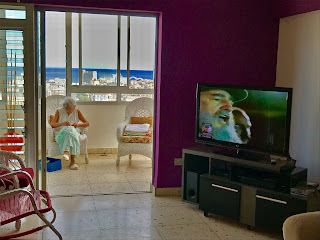 When Cesar and I walked to a nearby hotel and logged onto a WiFi connection, we couldn’t help but notice the contrast of news coverage from back home – of depictions of celebrations on the streets of Miami -- versus the quiet grief in Havana. Some of the articles and headlines once again portrayed a vision of Cuba far removed from everyday life there: it seemed like a parallel universe. In Florida, young Cuban-Americans expressed relief that things would finally change and they could come and be part of the “New Cuba.” In Havana, Cubans were generally puzzled when told of those sorts of statements. The people speaking with us expected the country to stay on its current course, the transition to Raul Castro established years ago. 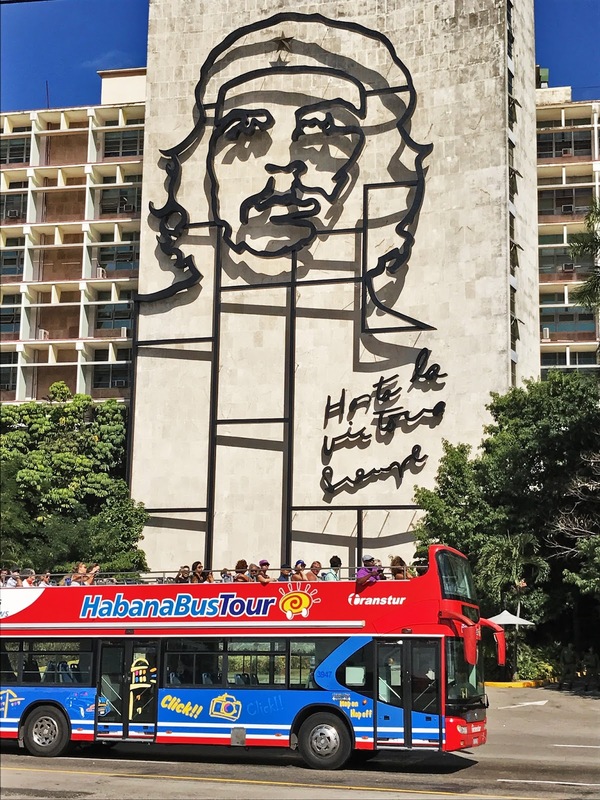 They also expressed irritation at the popular comment among American tourists who say they want to see Cuba "before it changes" -- as if their country were a museum or frozen relic. For Cubans living in Cuba, the Revolution and their society have never stopped evolving – that’s been especially true since the 1990s. Cubans wish to see more reforms, but they also hope to hold onto the Revolution's social gains in health care, education and relative safety in the streets. In the end, they said, their future is up to them.